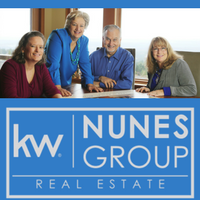 Nunes Group Real Estate is a full-service real estate brokerage firm adept in marketing, communications, and technological innovation, which allows us to maximize value and offer a quality experience to our clients. Creating better lives by aspiring for the highest and best use of people, properties, and communities. Global property specialists who connect you to real estate in Seattle, the Eastside and beyond. 11109 Slater Ave NE, Suite 200, Kirkland, Washington.